Hello guys! goodnight to all of you. 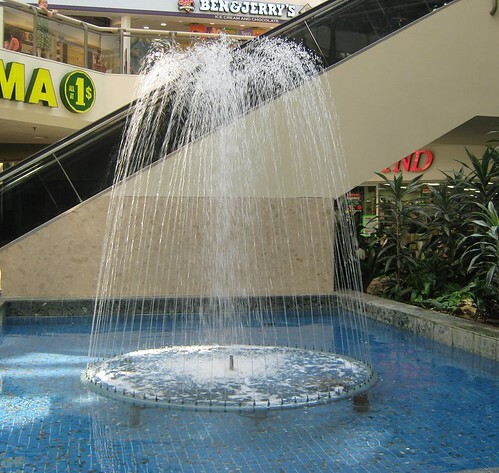 Before I sleep I would like to share my simple entry for this week, a beautiful fountain inside the Stone Road Mall. Many kids loves to throw their coins here and wish. I took this picture yesterday afternoon when my friend and I went to shopping. Thanks for the visit and for your sweet messages. God bless you and happy Scenic Sunday to all. The falling of the water is like a delicate veil! Gorgeous! ohhh...great photo! I love water fountains. That's such a delicate, feminine fountain...you have nice shopping malls.